I've written in the past about the strip cards dubbed W516, four classifying characters in a hobby whose apex of collectibles is the sprawling T206 set, dubbed "The Monster" by those who attempt it. While filled with variety, this umbrella covers a much smaller patch of ground. On close inspection, W516 contains two different checklists (of the same 30 players) with two or three hand-written and typeset design permutations, for five total subsets. 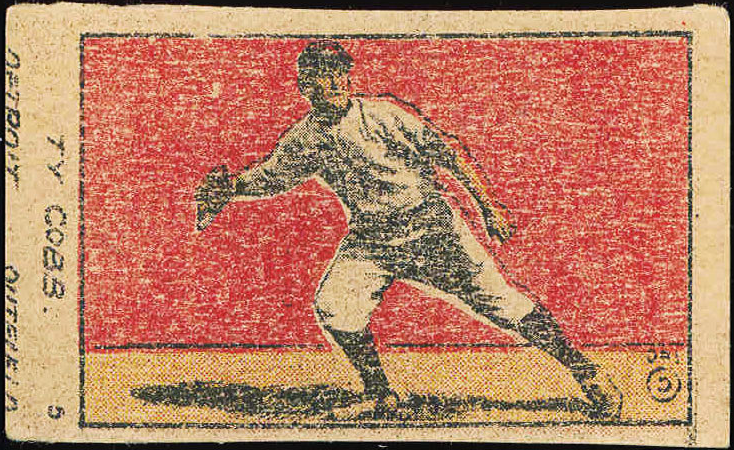 The #5 card for W516-1's checklist (two subsets) is Tris Speaker and for W516-2 (three subsets), it's Ty Cobb. Thanks to eBay and auction listings, I've located scans for all three W516-2 Cobb variations. 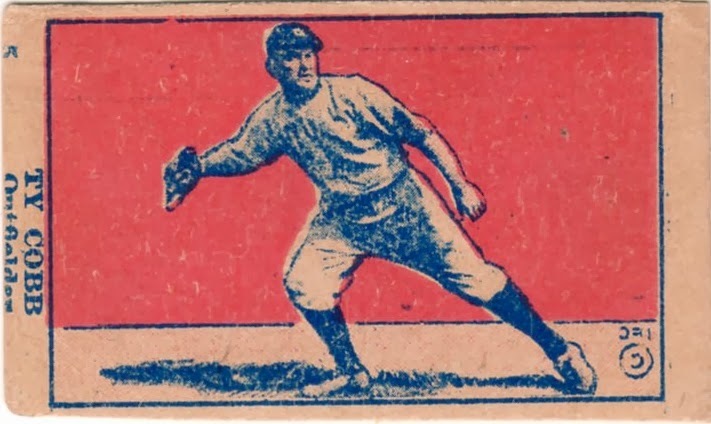 They're Ty's cheapest cards to acquire from his active career, due to limited collector interest in strip cards, so-called because most were bought in (and cut from) multi-card strips from vending machines at 1920s fairs and arcades. 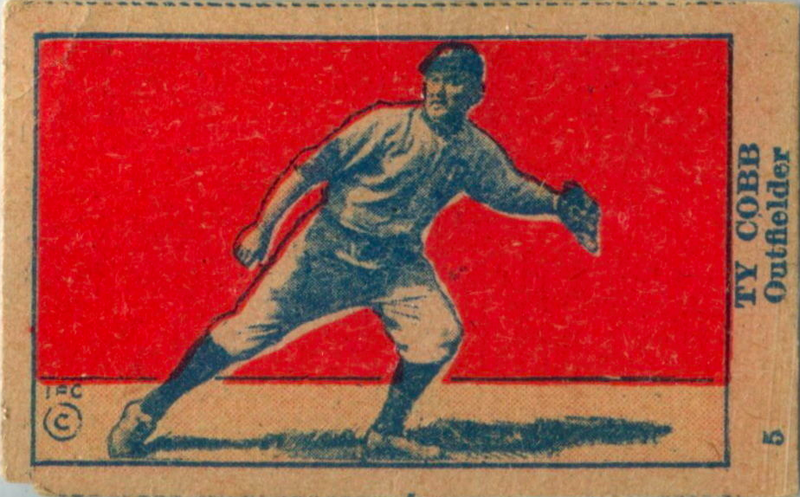 Of these variations, only W516-2-3 correctly shows Cobb as a righty. The "IFC ©" points to William Randolph Hearst's International Feature Service, which I talk about more in my W516 Tris Speaker profile. It'd be interesting to build the W516 subsets and might be the most affordable way to add legends like Ruth and Cobb to your collection. Good luck to any who accept that challenge! Find a thorough subset breakdown and galleries at OldCardboard. UPDATE: As noticed by Commishbob, the W516-1-* subsets moved Ty Cobb to #6 with otherwise similar designs. Value: I bought a beat-up W516 Cobb for $20 not many years ago, so hold to the thought that $50 or less is reasonable for low-grade versions (with bad trimming or other damage). 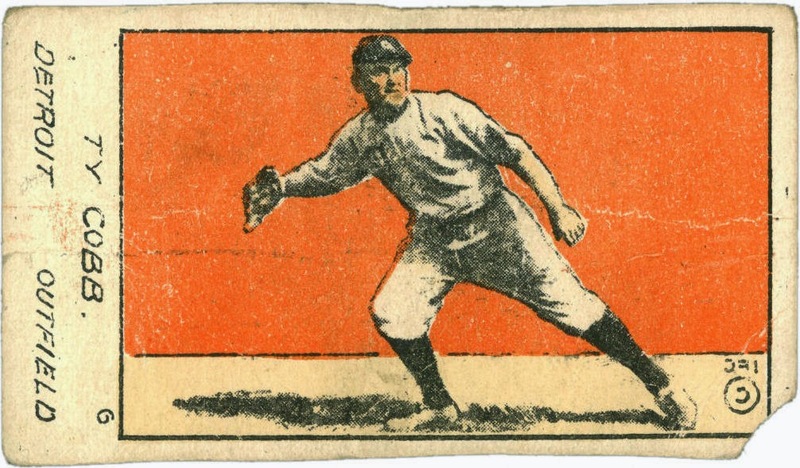 Some dealers assume any Ty Cobb card is worth hundreds of dollars, so prices vary significantly. Fakes / reprints: I make the blanket assumption that all vintage Cobbs have been reprinted or faked in the past, so recommend working with a dealer you trust for these kind of purchases. 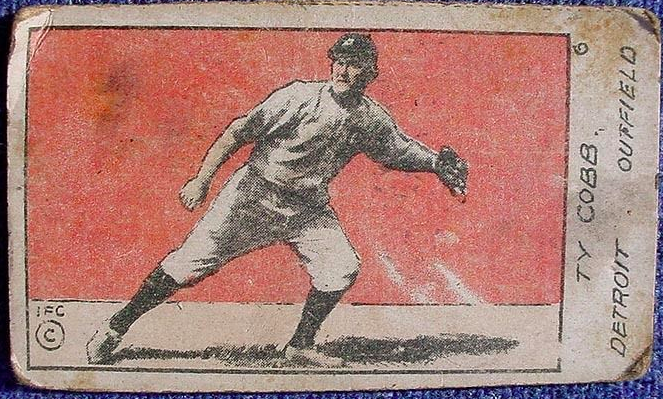 Matthew,, here is an eBay auction for a reverse image Cobb with the hand inked name. Is this another variation? I've had this set on my radar for awhile, not to collect as a set but just to grab an example or two. Interesting stuff. Good eyes, that's a related W516-1. Its subset checklist moved Cobb to #6 and has two variations. I've added scans for both of them to the post.